Hello there, I am currently searching for a good mic to use with my movi board. It will be used inside a Motorhome/RV so it will be tucked away somewhere and the mic will be sitting on a countertop or something of the like. I need a mic that has about a 20-25 ft pick up radius. I have been looking but cannot find anything that works for my needs and doesn't require phantom power. Any help would be appreciated, thanks. Well, microphones for this distance usually need an amplified signal, that's why they all require phantom power. Too bad MOVI's onboard microphone doesn't work for you. might be worth giving a shot. You can power it with MOVI's external power supply (by using the microphone power jack in series with the Arduino power plug). 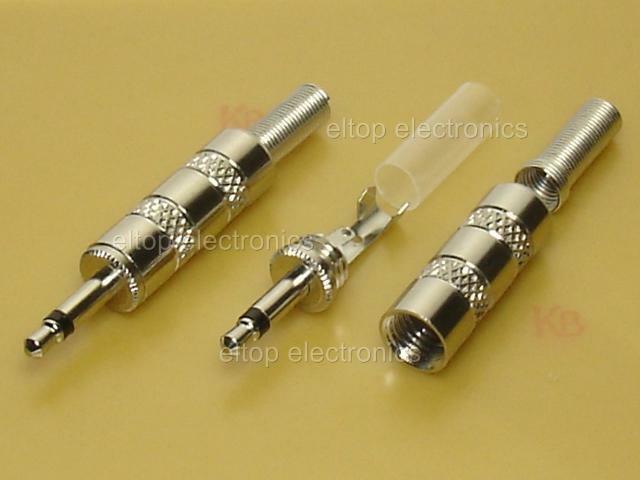 However, you will need to build a small attenuator circuit to attenuate from line level to MOVI's microphone jack level. This is described by the "external microphone" topic posts in our forum. (Or 15 or 20) after the train() command. I am attempting the same sort of thing that the first commenter was. After looking at the microphone you suggested ( https://amzn.com/B004REA7MG ), I was able to figure out how to power the microphone through the Arduino, but I don't know how to connect the other part of it to the attenuator circuit and then to the MOVI board itself and have it be used instead of the original microphone on the board. Look at the response from Gerald in response #9. I built one based on those specs and it works well. In theory, plugging in a microphone into the microphone jack disables the internal microphone. There is currently some question as to whether or not that is happening completely or not as a few of us are experiencing some odd side effects using an external microphone. Regardless, this is a good place to start to build a circuit as describe in that thread. Did you use the Adafruit DGC microphone that was linked in the post? I have an external microphone with two power connections, which I would connect in series to power the microphone, then it has two wires. I don't know how to connect these wires to the attenuator circuit, and then attach that circuit to the microphone jack. My question is how to physically connect these things. A picture of your set up would be extremely helpful. Gerald is very particular about the type of mic that is used and prefers that we use one with the same MAX9814 chip that MOVI has onboard, hence the adafruit mic. It might be worth the $7.95 plus some effort in building a box for it for the piece of mind that you'll get the best possible support from the Audeme guys. For the box, I used one of those slide top mint boxes lined with some plastic salvaged from an old ribbon cable. Be aware though, the mic is smaller than you will imagine looking at the pictures - the way adafruit laid it out, it is very difficult to find screws and nuts that are small enough to secure the mic to the box, and to drill holes precisely enough right beside the large hole for the electret itself. Mic lvl out on the attentuator circuit gets split and soldered to both the tip and the center ring on a 3.5mm stereo plug. GND on the attenuator circuit goes to the final ring (called the Sleeve I believe). I may have overdone the grounds the way I did it there; I'm no electronics expert. and used a mono to stereo converter because I was able to just barely solder the two resistors and capacitor inside the mono jack housing so it's all compact and neat. This isn't for the faint of heart though, it's extremely tricky and you need to have a really good electronics place you can source a tiny capacitor from if you want to do it this way. Thanks Dylan, that was super helpful. However, I think I am going to try a pre-amped microphone and attenuate it. I am trying this at my job and I really don't want to break anything.